Floor Area: 30,000 sq. ft. Roof Area: 82,500 sq. ft. Comments: Tight project site with limited laydown. 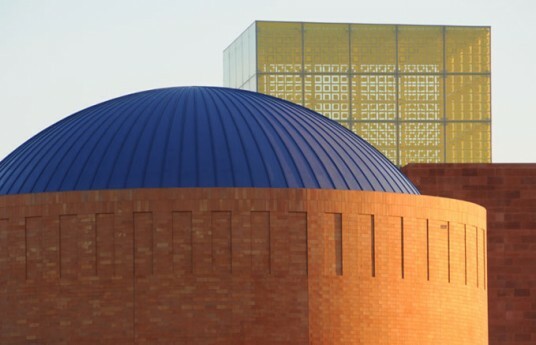 This project had a little bit of everything: renovation to existing structure, truss work, steel dome with deck, and composite framing.Three unique steel structures are the main massing of the building design: the Energy Gallery roof, the main entrance, called the “Urban Lantern,” and the new domed Noble Planetarium, featuring a 50-ft-diameter steel-framed “ribbed dome,” which was completely fabricated on the ground and lifted into place. The dome members were delivered as individual pieces ready to be assembled like a kit of parts. 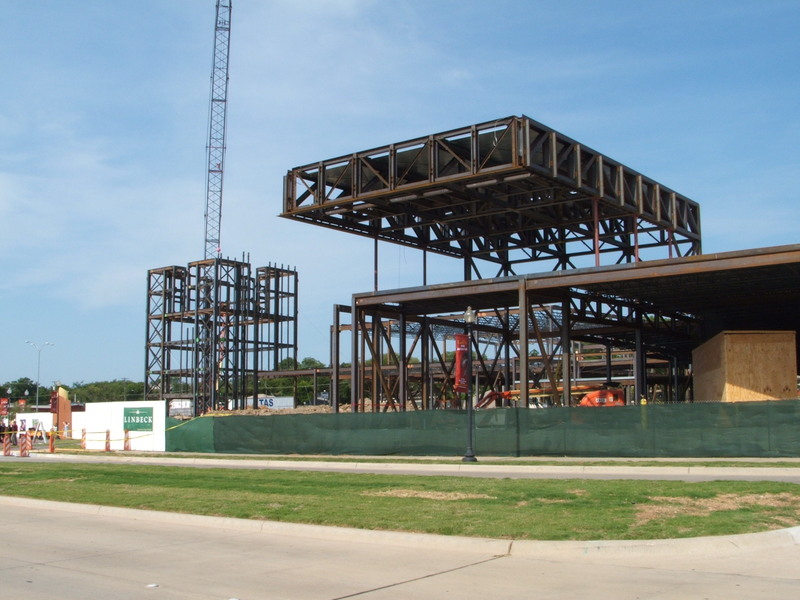 A staging area next to the final location was set up for the erection process where the steel erector welded the elements together on the ground. 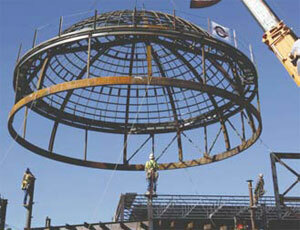 All vertical wide-flange ribs were welded to the tension ring at the bottom and converged to a compression ring at the top of the dome. 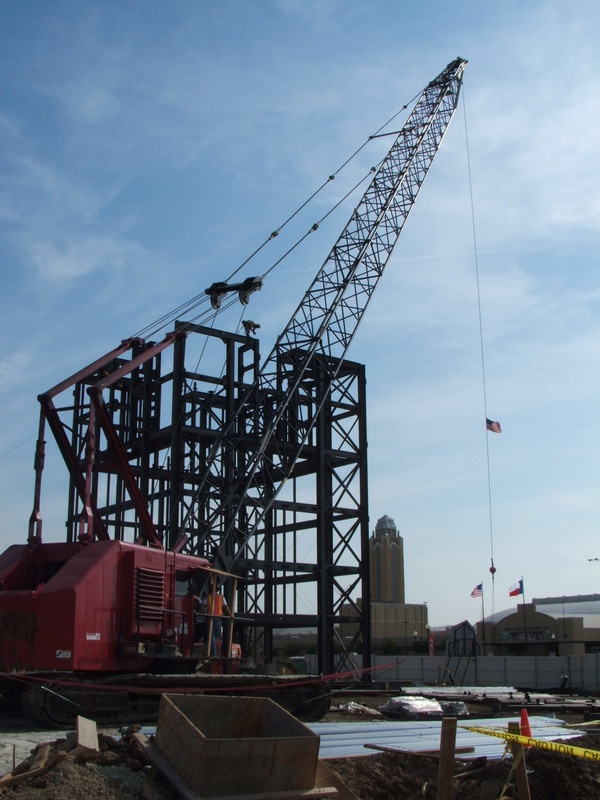 Once the ribs were in place and the transverse pipes were installed, the resulting configuration was a semi-rigid grid that resisted racking and was stiff enough to be lifted into its final location. 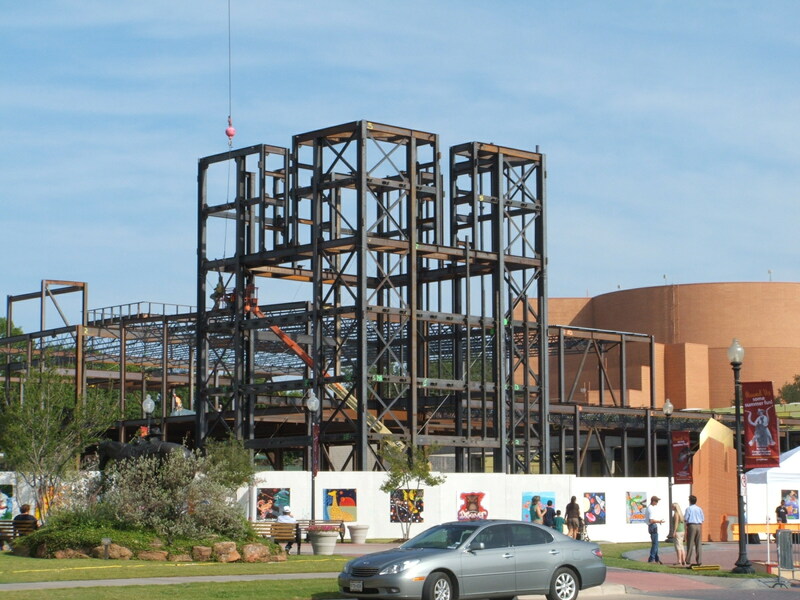 Months earlier, additional analysis and careful coordination among the structural engineer, erector and contractor had been performed to allow the nearly flawless installation to occur.